When someone close to you is making one destructive financial decision after another, it may be time to stage a credit intervention. An intervention that focuses on a person’s spending and borrowing actions can be a life-changing event. It allows you to respectfully and lovingly show the person they’re on a dangerous path, explain how it impacts you and others, and offer options for resolution. Here are the signs to look for and what steps to take to stage an effective intervention. How do you know when the time is right to act? Karen McCall, founder of The Financial Recovery Institute in San Francisco. says the person may not be sleeping or eating because of their debts, but continues to rack up card charges. “They continue their behavior regardless of the negative consequences,” she says. Constantly receives collection calls or the mailbox is packed with letters from creditors. 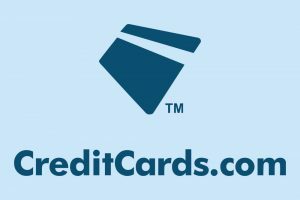 Always has credit cards denied at the store or constantly juggles cards to find one that works. Is a regular user of payday services or check cashing stores. People are afraid to ask for help. Sometimes they don’t understand they’re in a crisis because they don’t look at their numbers. Not even when they start receiving collection calls and foreclosure notices. As a result, Young was nervous about confronting her deeply indebted sister. “Me and my mom did an intervention on her because she wasn’t paying her bills,” says Young, “We were roommates then, and she got behind on everything and was always asking to borrow money from me. I was working and she was in college. Eventually Young called her mother and they decided to hold a meeting. It was an emotional but revealing process. Young discovered her sister had not completed her student loan paperwork correctly and had been trying to survive on loans and plastic. Nonprofit credit counseling agencies are a frequent site for professionally led financial interventions, says Michaela Harper, director of community education for Credit Advisors, a credit counseling agency in Omaha, Nebraska. Harper said Young’s situation is typical. For example, Joel Doelger, who works for Credit Counseling of Arkansas, says he had a case in which a mother brought in her two adult sons so they’d stop ignoring their student loan obligations. The mother finally had heard enough from her mom and scheduled appointments for the young men and brought them in together. “They acted rather sheepish at first, but admitted they wanted to address the defaulted loans,” says Doelger. Together they walked through the consolidation process to bring the loans out of default. Although many interventions begin with relatives interceding, professionals can be introduced if they feel a third party would be more effective, says McCall. “I usually come in after the family tried or doesn’t know how to approach it,” says McCall, who can keep the conversation on track and peaceful. When McCall leads interventions, she creates a plan involving a graduated approach. If you can explain to the person how they’re making terrible choices in a kind way while also presenting short- and long-term solutions, great. Otherwise, it would be wise to contract with a fee-based financial counselor such as McCall, or use a credit counseling agency, which is usually free. Whether on your own or with an expert, be careful who you ask to attend the first meeting. According to Harper, it should be those who are directly affected by the actions of that person. Once the participants are set, call the meeting, and make a point to be kind and candid. The end result, says Williams, is almost always relief.